Well that’s just not fair. After requesting then being denied a free Galaxy S3 from one of Samsung’s Facebook pages, a Sammy fan has in his possession one of the only custom SGSIII devices ever created. 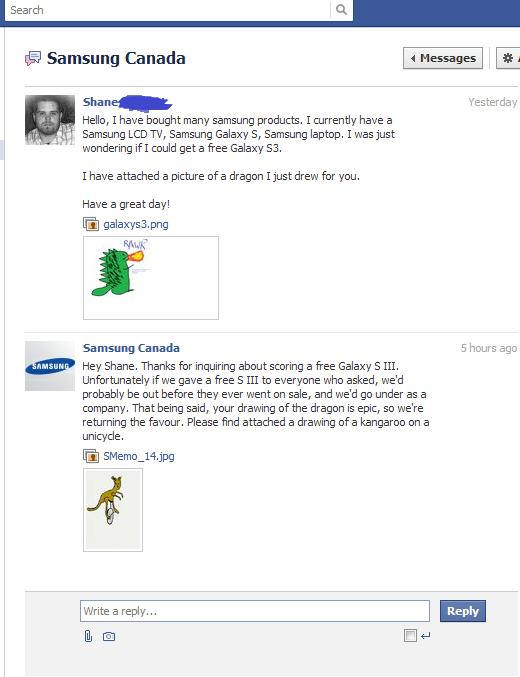 The story goes, a very kind message went out to Samsung along with a drawing of a very cute fire-breathing dragon. Samsung, naturally, had to deny the fan’s request given that if they sent out a free phone to one person, they would have to give free phones to everybody. For some reason, the story, along with Samsung’s reply attached with a picture of a kangaroo on a unicycle, went viral on the web. In appreciation of the viral hit, Samsung created a custom SGSIII device for Mr. Shane, incorporating his picture of the dragon. 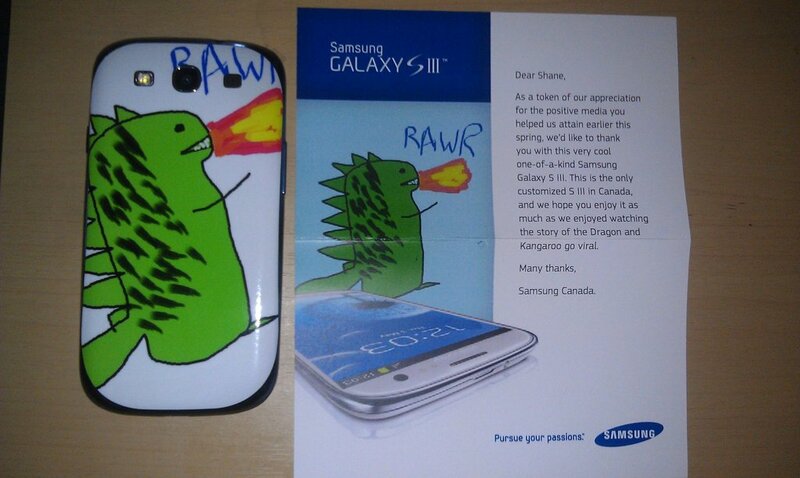 Awe, that’s cute, Samsung.